Please find attached the rainfall plot for Sydney for the 24 hours till 9 am 31 March 2014. 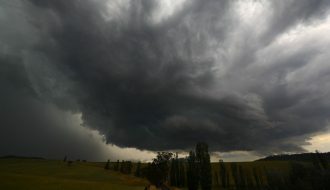 I was aware of a cluster of storms cells and showers well to the south around Goulburn area at around 3 pm but I did not think much of it and the cluster seemed highly disorganised. After sunset, I went outside to investigate what was going on to the south west and I was stunned that the system had made it all the way to Sydney. 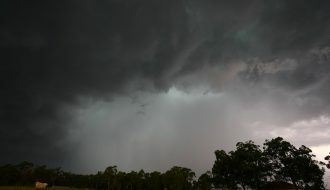 I was observing a cell with constant strobing lightning that was heading directly towards Blacktown. 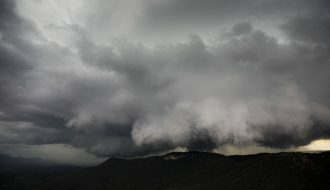 With my camera, I attempted to find a local spot for taking video film but was unable as the storm was travelling too fast. I found a small shelter to watch the storm outside. 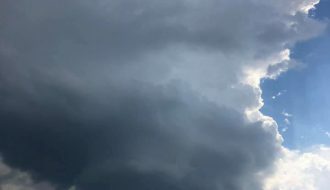 Soon that active region of the storm passed directly overhead with constant strobing lightning flashes within the cloud and continuous thunder audible. I did not see any cloud to ground lightning strikes while outside. 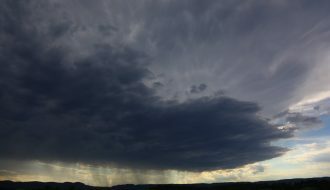 The rainfall was initially light but as soon as the core passed overhead some wind ensured but the main impact was the torrential rain. There was no hail but the rain intensity was impressive and sustained. I made attempts to take photos during the most heavy burst of rain but it was difficult and I still need to review what I captured. This storm caused significant overland flows, water was gushing across the local roads, the adjacent park and storm water drains could not handle the deluge. Referring to the attached rainfall plot it is clear the storm went through large areas of Western Sydney traversing from south west to north east. 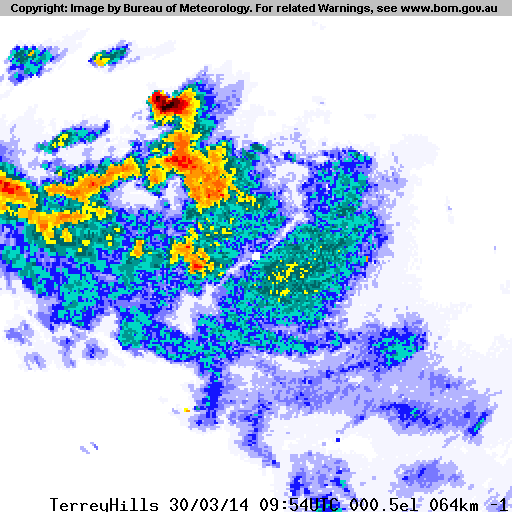 There is a heavy fall of 54 mm near St Clair and a fall of 49 mm at or near Box Hill. 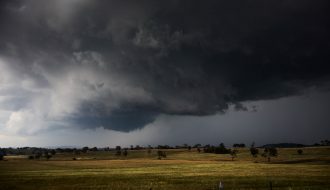 An area near Horsley Park received 40 mm and Blacktown had 34 to 39 mm. The heavy falls are hit and miss but the heavy falls are impressive given the duration. 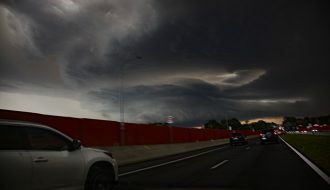 Interestingly for Blacktown where I live, this is the second intense thunderstorm for the week which has delivered up to 100 mm of rain from two such events, the first being 24 March and the second being the 30 March. Hi Harley, I would say the 54mm was not near St Clair but Birkshire Park or Shane Park. 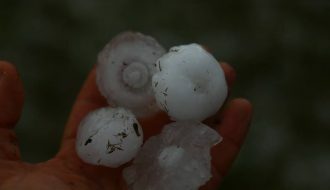 Flash Flooding occurred in the region and there were several reports of hail to the size of golf balls in the region of St Clair and Colyton.